No holiday celebrations is complete without a cocktail. This is a nordic cocktail which I included in my Nordic Cuisine Christmas recipe collection for Fresh Vegan Magazine. 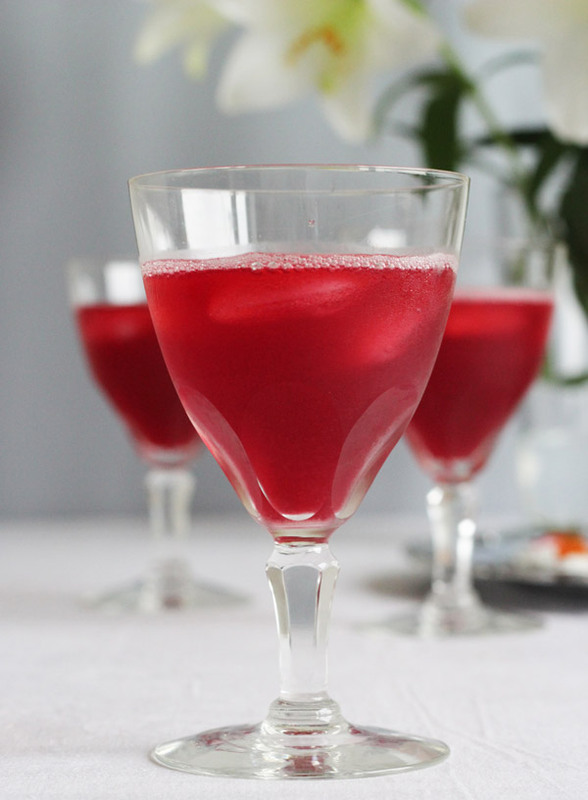 If you want to know how to make the cordial yourself, the recipe is right over here. Shake vodka, Cointreau and lingonberry cordial on ice in a cocktail shaker. Pour into two glasses which are filled with ice cubes.